We loved the classic garden vision for this Birmingham bride! Brooke you were a joy to work with and thank you for letting Mariée Ami be a part of your big day! A few words from the bride... Please tell us a little about your story / how you meet / etc. Nick and I met after college through mutual friends. My best friend’s then boyfriend (now husband) was in MBA school with Nick where they became friends. Our paths crossed a few times — we actually lived by each other at one point — but it was a year or so later that we went on our first date. After a few years of dating, Nick proposed at one of my favorite places in the world, my family lake house in South Carolina. What was your vision for your wedding? Favorite detail? Until it came time to actually plan my wedding, I never really thought much about it. First of all, I knew I wanted the ceremony to be special as the vows we were taking in front of friends, family, and God were the most important part of the day. 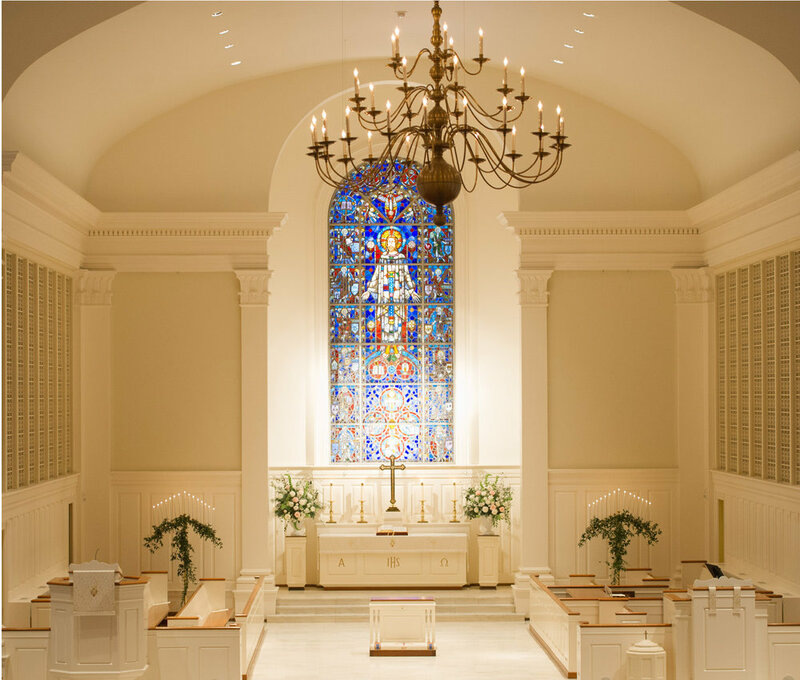 Growing up at Canterbury, I knew I wanted the ceremony to be in the sanctuary and to have beautiful music. For the reception, I tend to gravitate towards more traditional and classic, so I knew I wanted it to have that feel. My sister Dawson was a tremendous help in the planning process and has an eye for flowers and decor. 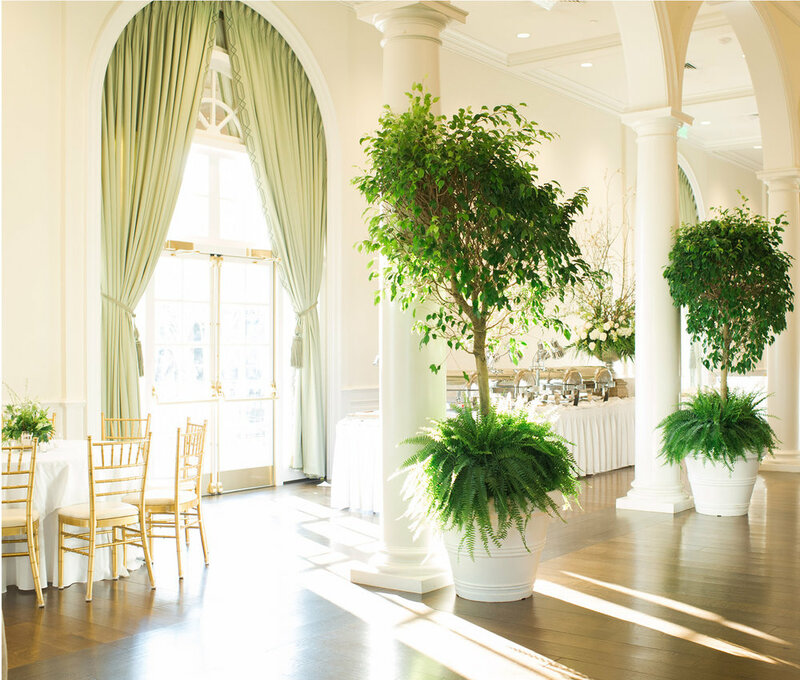 We had both seen a wedding that had trees lining the reception and loved that look…kind of like a garden party but inside. 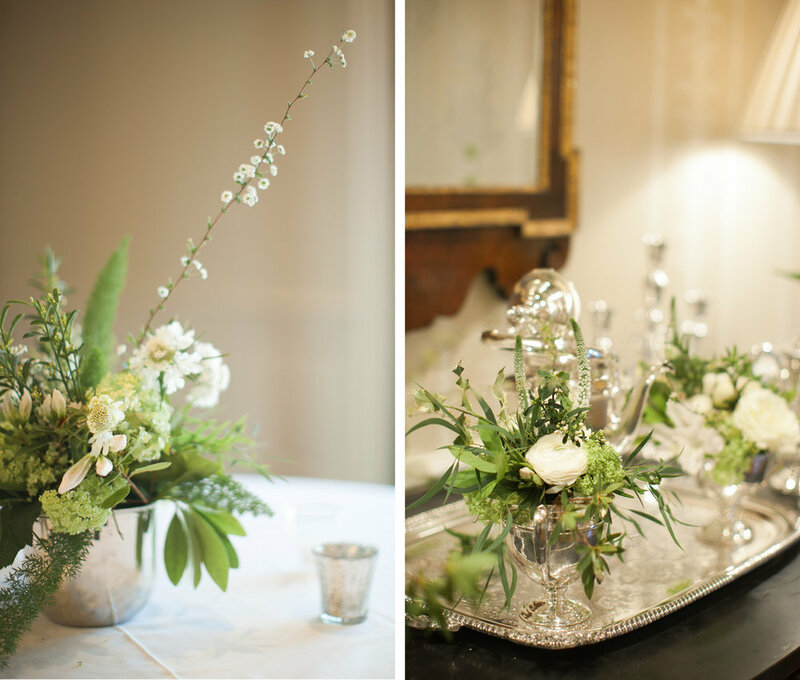 We also wanted to include some heirloom pieces as a part of the decor, and the incredible Sybil Sylvester arranged flowers in a variety of silver vessels in the entryway. Neillie, Sybil, and their teams did a fabulous job turning our vision into a reality. And Nick and I both love music so a great band and fun atmosphere was a must! What was your favorite part of the planning? Cake tasting - duh. But seriously, working with Neillie and her team, Sybil, and all the other vendors was a dream. My mom passed away a few months before we got engaged, so everything about the planning process and wedding was totally different than I would have ever expected. But Neillie took away so much of the stress, and I could enjoy the fun of planning and of seeing our ideas and dreams become a reality. Even more important, she knew how to explain everything to my dad and get him on board with everything. We didn’t have to worry about the logistics or forgetting something and could fully enjoy our engagement and wedding day! What was your most memorable part of the day? Oh my goodness - it was the absolute perfect day (thanks, Neillie!) so that’s tough to pick! I had a blast getting ready with all of my best friends together and had so much fun at the reception. I never knew my oldest nephew Wiley had such dance moves or that my dad could break it down — literally down to the floor! The ceremony was really special too. I grew up in Canterbury and went to countless Sunday services and events there with my mom. The feeling of saying our vows in such a beautiful sanctuary that holds such special memories surrounded by loved ones is one I’ll never forget.